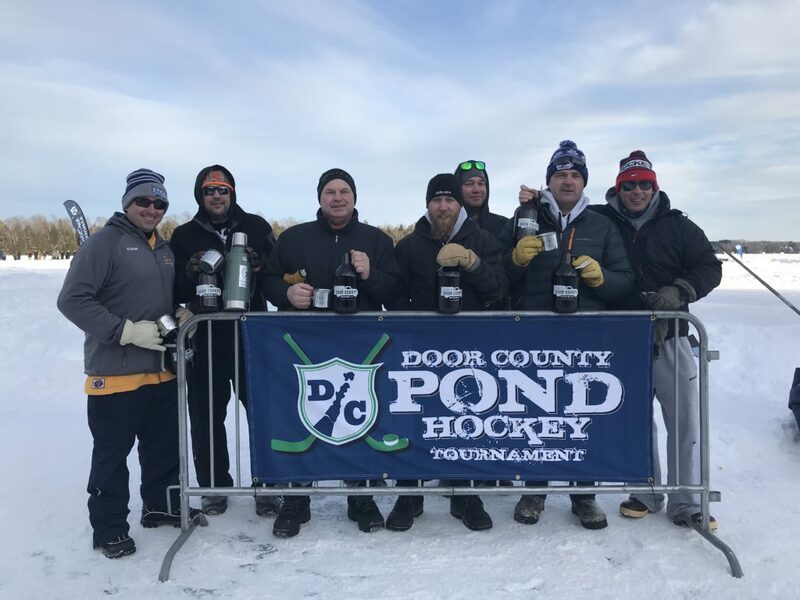 Fifty-five teams played in the 2019 Door County Pond Hockey Tournament. 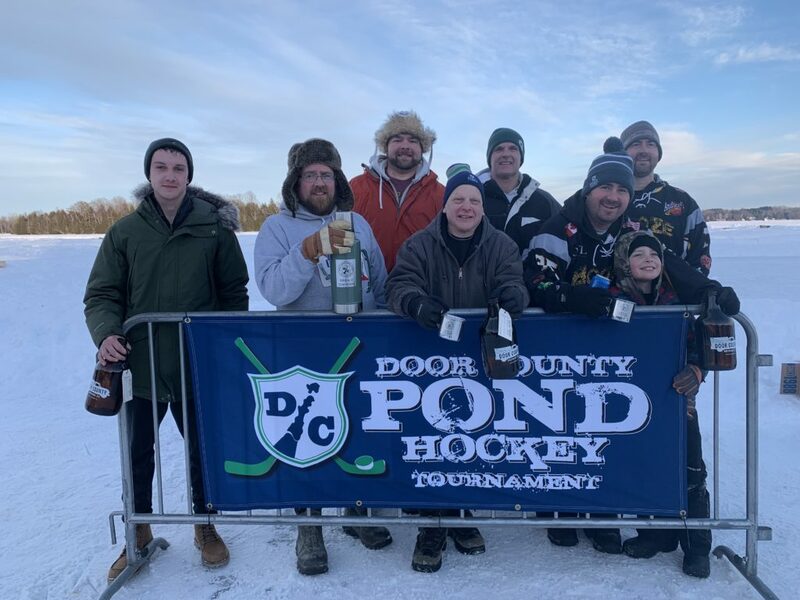 Photo by Myles Dannhausen Jr. 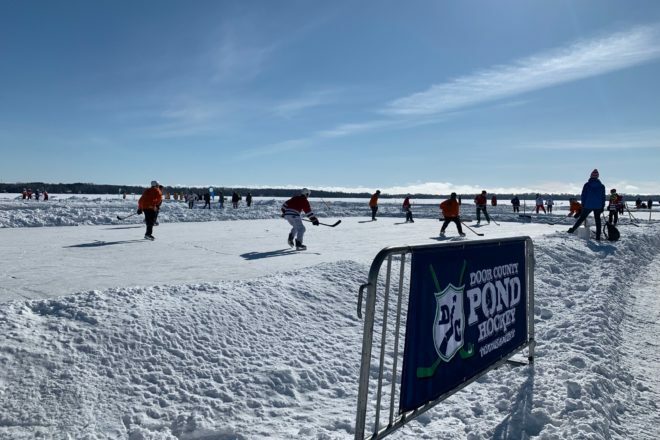 The sun shined on the sixth annual Door County Pond Hockey Tournament Saturday, Feb. 9, as more than 350 hockey players laced up their skates to play on Kangaroo Lake in Baileys Harbor. 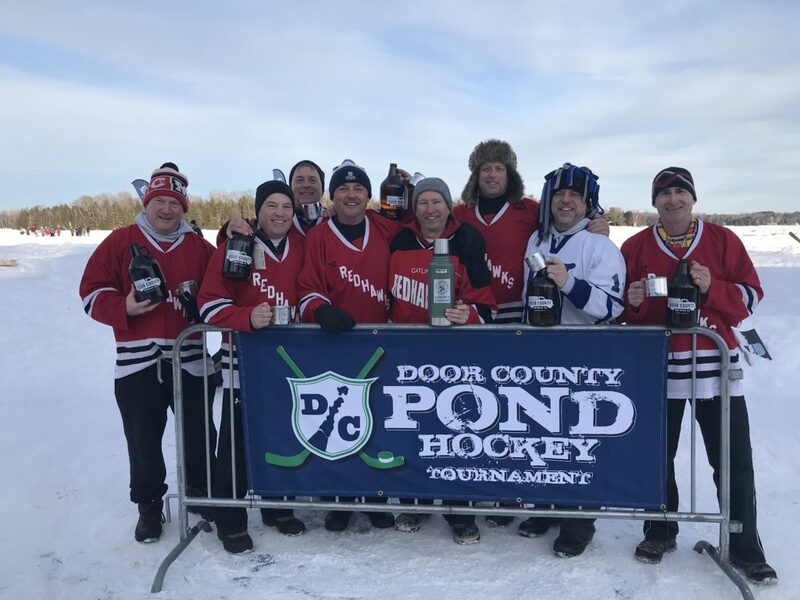 A record 55 teams played in this year’s event in six divisions, drawing hundreds of fans bundled up to brave the cold and watch teams fight for the Stanley Thermos trophy. 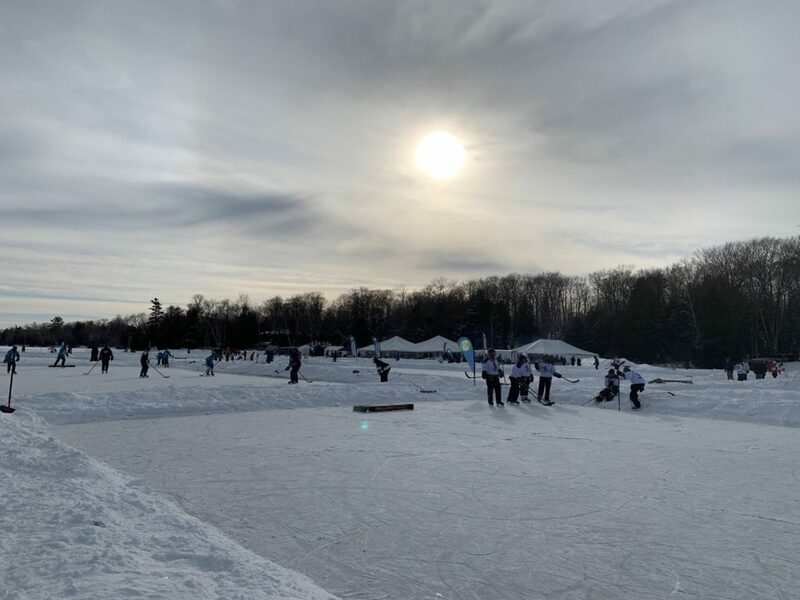 Fans warmed up by the fire pit, enjoyed food and beverages from Door County Rotary North and the Baileys Harbor Community Association, and skated on open rinks on the lake. 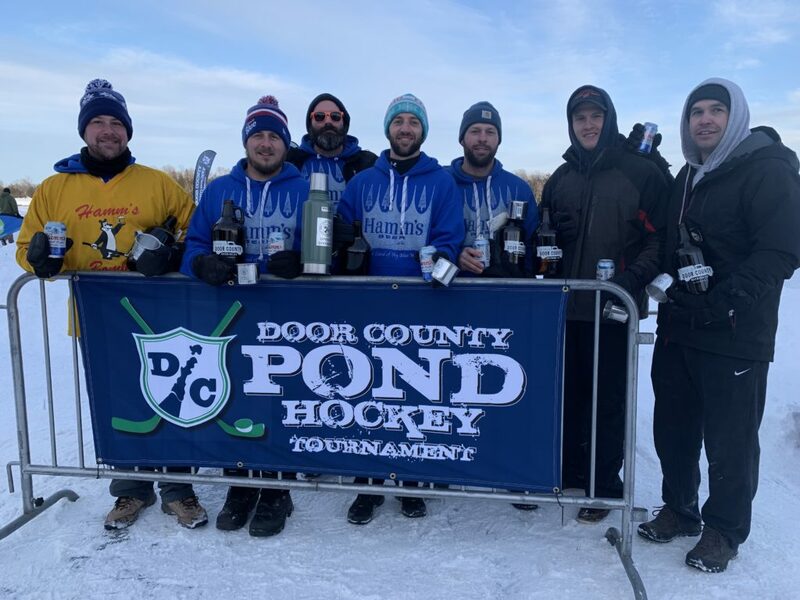 The tournament is organized by the Peninsula Pacers, the team behind the Door County Half Marathon, Peninsula Century Rides, Door County Beer Festival, and the Hey Hey 5k. 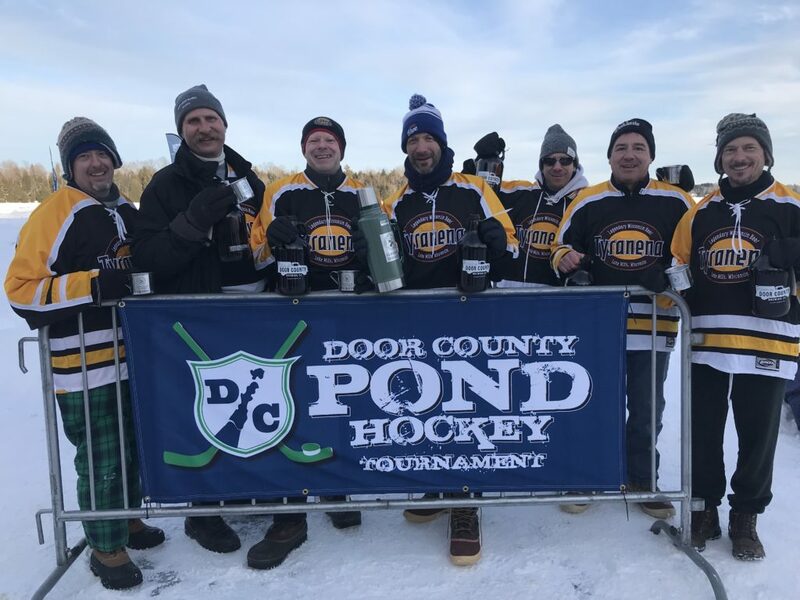 More than 50 of the teams in the Feb. 9, 2019 Door County Pond Hockey Tournament came from outside Door County. 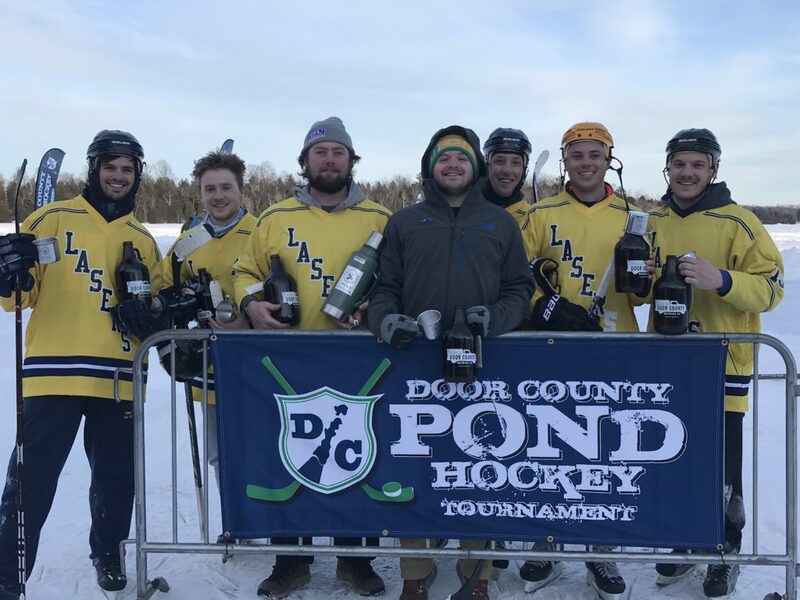 Photo by Myles Dannhausen Jr.